Welcome to the last segment of the Dreamers and Doers Compilation Series where we put together the best of the best episodes all in one place! 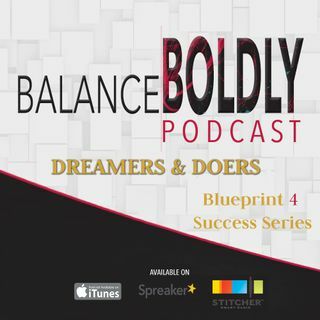 Plant positive seeds in your life, relationships, and business as we recall amazing insights from previous solo episodes as well as interviews with experts, bold women, and brave men. In this last compilation episode for this series, we’re going to hear about how you can open yourself up to opportunities that allow you to transition, grow, and ... See More transform into someone much better than you were before. We’ll learn about the reasons why your perspective makes a big difference in your attitude, how to filter opportunities that come by, and how to move forward by identifying your fears, taking away the what-ifs, and adding value to yourself and your community.